Born into a family of antique dealers and hoteliers/restaurateurs in south-western France, Romain Baty’s passion for creative work was inspired from a very young age by the many rich and varied cultural influences which have subsequently been expressed through his work and experiences. After studying History of Art in London, Romain Baty began his career in Paris, designing and reinterpreting identities to express physical codes of art and beauty, in particular in the field of art direction for the various international fashion shows, photo-shoots and fashion and advertising films that called on his talents. His natural eye and his aesthetic feeling, nurtured by his close collaboration with the great names of the fashion world, allowed him to develop his skills in famous French and Italian fashion houses (Chanel, Dior, Yves Saint Laurent, Prada, Gucci, Armani, etc.). These many and varied experiences have enabled him to forge his own strong and distinctive artistic vision. Romain Baty then joined L’Oréal Luxe International, offering him the opportunity to share in the experience of the iconic, exclusive Asian brand Shu Uemura. His knowledge and deep affection for the arts, for fashion and its history then led him to Yves Saint Laurent Beauté, the epitome of French excellence and refinement. He spent 6 years working in International Retail Development in the International Marketing Direction, a position combining creativity and commercial activity, enabling him to apply in particular the customer experience. His awareness of market developments and the need to move beyond the creation of purely retail spaces, transforming them into places of immersive experience for the consumer, led him to work to this end with architects, designers and scenographers, dedicated to achieving Retail Excellence. 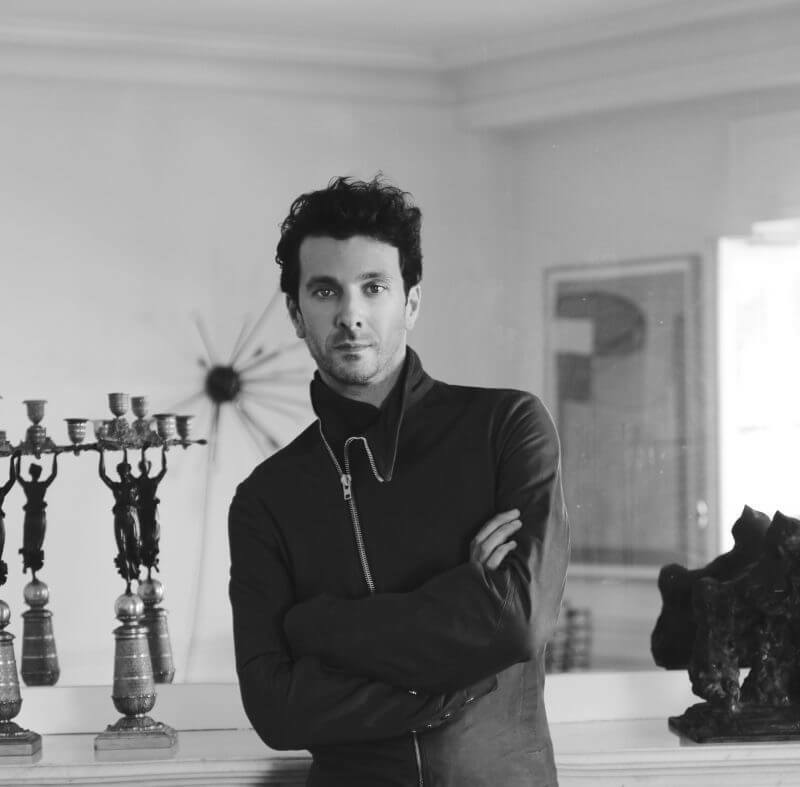 With his experience in the luxury sector behind him and having acquired a grasp of its codes, main players, products and markets, Romain Baty trained in interior design and global design at one of the most prestigious schools, the Ecole Nationale Supérieure des Arts Décoratifs in Paris. Today he has an excellent command of the various technical processes and artistic materials, blending them and applying them to the different trades involved in his work: analyzing, studying, designing and building structured spaces, dealing with volumes, lighting, colors, decorative objects and their visual representation. With the essence of these skills at his fingertips, Romain Baty is today able to place his distinctive signature on his work as art director and on the design of private and commercial spaces.